The EAN-Code is an international article numeration. It is also known as the Bar-Code. The international EAN-organization provides valid numbers worldwide, which are mechanically readable and free of overlaps to hamper expensive transmission of article descriptions. The EAN-Code composes of seven digits; the 5 digit internal article numbers and the number that the recording medium manufacturer allocates and finally the access code. 67890: would be given internally. 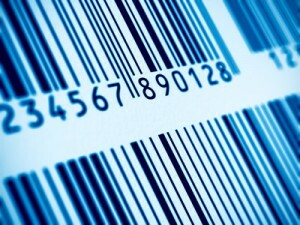 These unique identification numbers can be represented by bar code symbols. This enables inexpensive and accurate data capture, thus providing the required information at all points of the supply chain. You are very welcome to use our EAN-Code. For your calculations, you can use this option through our navigator. Please don’t hesitate to contact us! The LC number was created in 1977. It will be given to a music-producer or –label by the GVL (in Germany). The Label-code (which is normally located at the backside of each CD) now, would be appointed when you register the recording medium or a Label at the GVL. It facilitates electronic commerce processes including full tracking and traceability to all radio and TV broadcasts. All label-codes are summarized in the GVL book/list. You are very welcome to use our LC-Code. For your calculations, you can use this option through our navigator. Please don’t hesitate to contact us!